InsideOut Ropes Courses - construction, maintenance, inspection. 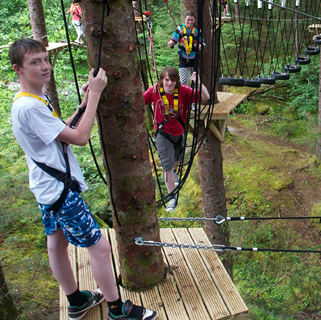 Inside Out Ropes Courses design and construct high quality durable ropes courses climbing towers and aerial adventure trails to meet client aims ranging from educational tools to adventure play installations. We also provide comprehensive industry accredited inspection and maintenance services ensuring your ropes course is a safe, dependable learning environment. Add new activities to your business that are built to the highest standards. Protect your investment and keep activities running smoothly.. Regular inspection keeps your activities safe and ensures you comply with regulations. Order essential ropes course supplies with great prices, swift delivery and knowledgeable advice. Inside Out Ropes Courses designs and constructs safe, total quality and user friendly ropes courses, towers and aerial adventure trails to meet client aims ranging from educational tools to adventure play installations. Combining an extensive knowledge of delivering outdoor activities with our expertise in construction techniques and materials enables the facility to be tailored to meet our clients particular needs. Inside Out Ropes Courses have been constructing ropes courses for over 15 years to both the public and private sector. 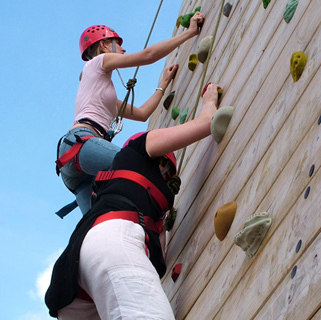 Over this period we have constructed low and high ropes courses; Climbing walls and towers; cows tail courses; continuous belay adventure trails; zip wires and giant swings for people of all abilities. We are committed to constructing to all the relevant standards relating to ropes course construction and are a member of the European Ropes Course Association (ERCA). Inside Out Ropes Courses delivers a powerful tool for learning and recreation that will last the test of time. We continually refine our construction materials and methodology to ensure that you get a product unrivalled for its quality, craftsmanship and durability. Construction techniques and materials guaranteed to meet the latest European Ropes Course Standards EN 15567: part 1. Attention to detail and craftsmanship ensures our ropes courses look good and provide low maintenance durable solutions. Free site visit to help us understand your vision and get a lay of the land. Product aftercare involves a complimentary inspection after the first 6 months of use to ensure the smooth operation of your facility. Help and advice to guide you through the process from the conception to realisation of your project. Concept and structural drawings and reports.